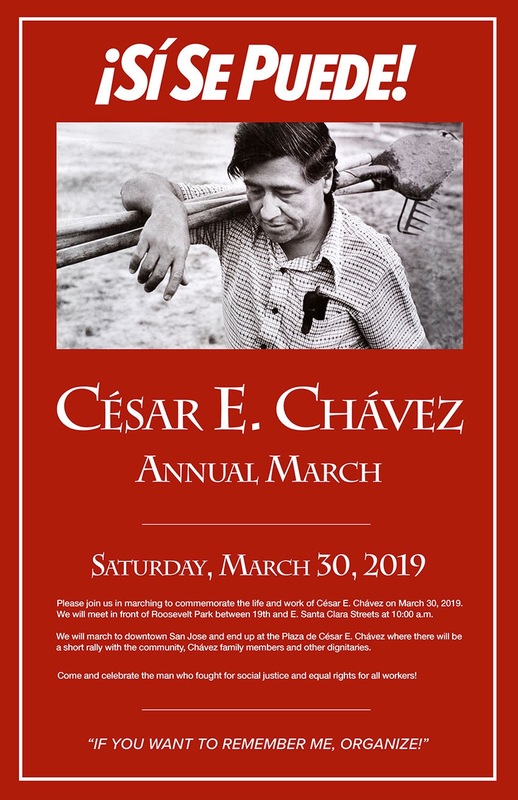 Please join us in marching to commemorate the life and work of César E. Chávez on March 30, 2019. We will meet in front of Roosevelt Park between 19th and E. Santa Clara Streets at 10:00am. 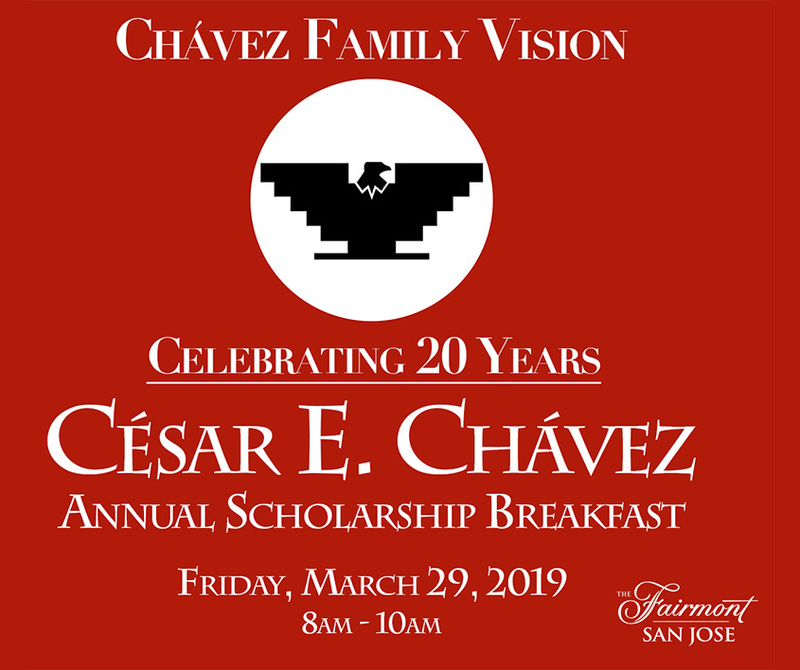 We will march to downtown San Jose and end up at the Plaza de César E. Chávez where there will be a short rally with the community, Chávez family members and other dignitaries. Come and celebrate the man who fought for social justice and equal rights for all workers!